Romania adopts International Holocaust Remembrance Alliance's working definition of anti-Semitism, aims to battle discrimination. Romania on Thursday issued a government memorandum to apply the International Holocaust Remembrance Alliance's (IHRA) working definition of anti-Semitism. The definition was adopted by consensus at an IHRA plenary session in Bucharest in May 2016. According to a press statement from the Romanian government, "For the application of this working definition, the Justice Ministry and the Interior Ministry will start off consultations with the law enforcement bodies to identify adequate measures for the use of this instrument, including in professional training programs." "Acting on proposals from the Justice Ministry, the Romanian Government will address Parliament in order to consolidate the legislative framework based on this initiative. Likewise, the Education Ministry will make sure the definition is included in the civic education curricula." "The adoption of the International Holocaust Remembrance Alliance working definition of antisemitism is confirmation of Romania’s commitment as IHRA Member Country and an expression of Romania’s resolute action against antisemitism, extremism, racism and all forms of discrimination and intolerance." 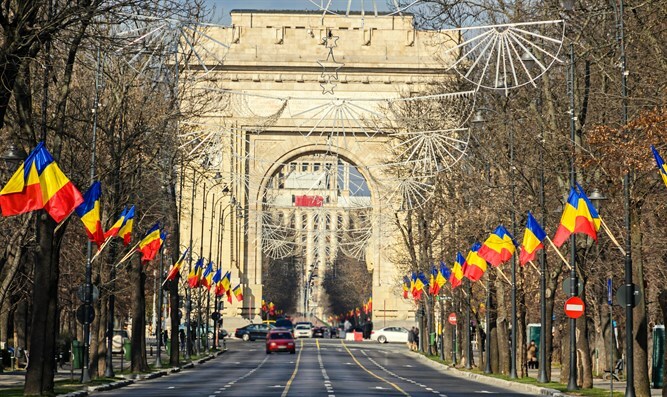 "The Romanian society will gain an efficient instrument for better defining antisemitic actions and for better understanding the consequences deriving therefrom." Both the UK and Austria adopted the IHRA's definition of anti-Semitism, which was published on The European Commission's website on April 25, 2017. In In October 2013, the 31 member countries of the IHRA adopted a working definition of Holocaust denial and distortion.